Under normal circumstances, royal property belonging to the crown of England is considered sacrosanct and most definitely not for sale. 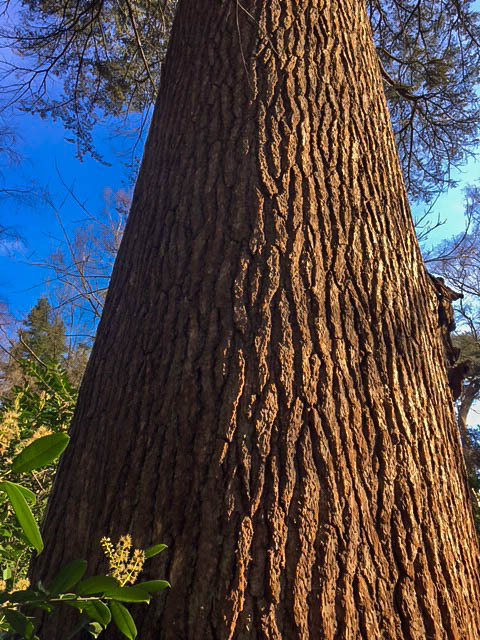 A Lebanese Cedar from Windsor Park however, has become the big exception to this rule, sold to Fritz Kohl since it had died 2 years ago and needed to be felled. It was planted in 1760 by the Duke of Cumberland, the third youngest son of King George II, who was nominated to be “Ranger of the Park” by the king and who turned the park into today’s structure. The tree was 6 feet in diameter and well over 26 feet long with the first 26 feet being pure veneer quality. During the veneer production of the tree, German television, radio and press were present to broadcast this “royal” event! The produced quality of the Lebanese Cedar exceeded every expectation and resulted in a total of 130,404 sqft of the finest quality imaginable. Perfectly suited for a high-class project whose owner gets a unique product nobody else in the world will ever own. 1: Over 26 feet tall and a diameter of almost 6 feet, Fritz Kohl Veneer Mill bought the Lebanese Cedar tree from English Windsor Great Park. 2. The Lebanon-Cedar belongs to the oldest tree species. They can be over 1,000 years old. 3. The tree delivers roughly 16 cubic meters of wood and will be processed into veneer in Karlstadt in Lower Franconia. 4. Before this extraordinary tree is brought to Karlstadt, it will be flitched in Westphalia, Germany. With a length of 26 feet, the cedar is just too big for the factory in Karlstadt. 5. A large portion of the veneer will probably go back to England. The reason for this being national pride: Veneer made from wood from the royal parks is very special to the British. 6. Most of the Lebanese Cedar that is on the market today comes from England or France. In Lebanon, where it originally comes from, there are barely any in existence. 7. 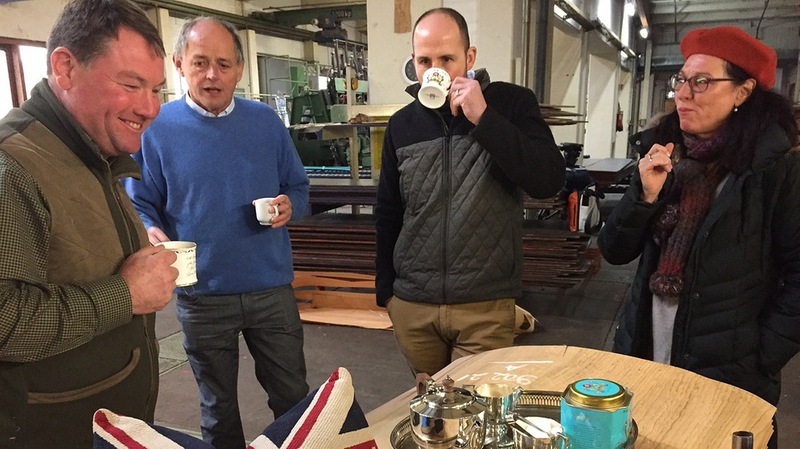 Fritz Kohl has been waiting months for the Lebanese Cedar, says the factory manager Fred Kohl. The tree will arrive shortly in Lower Franconia. Rolling out the red carpet for a Lebanese Cedar log from the Windsor Great Park near London. It will be cut into veneer at the Fritz Kohl Veneer Mill in Karlstadt Germany. 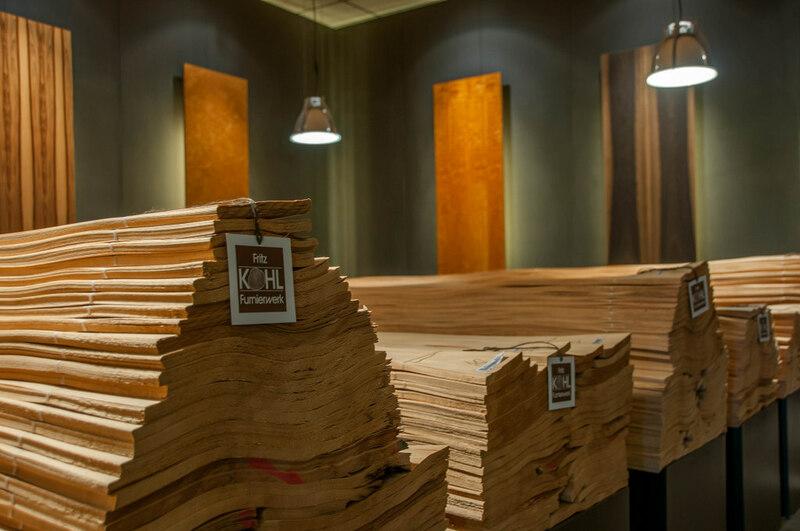 The individual sheets of veneer are only 0.55 millimeters thick. The tree, which costs 23,000 dollars, will yield roughly 100,000 square feet of veneer. That is the size of two football fields. Before being cut, the wood will be steamed so that it will be smooth and sleek. About 20,000 square feet of the Cedar veneer will go back to London, in order to panel the main offices of the royal estates.